Fish fries are a big deal for us in Wisconsin. Literally, every Friday people are pretty much in search of a good fish fry. I’ve posted in the past regarding the matter, and as much as we love a good fish fry, we pretty much make our own at home. I’m always tinkering with the batter, whether it is adding different seasonings, or different ratios, or even different types of flour, but recently I have been using my go to beer batter. 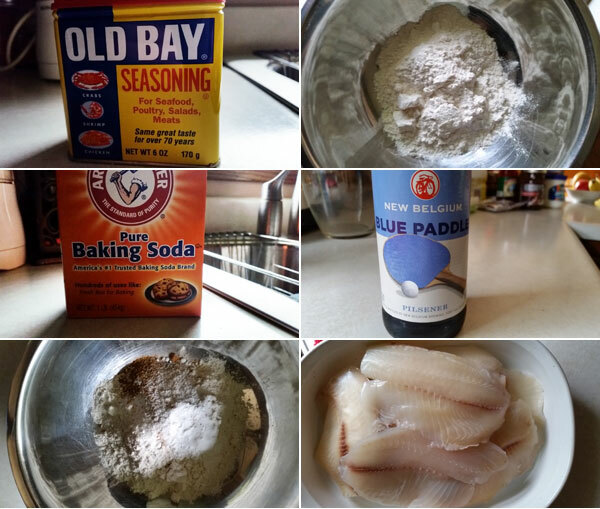 This beer batter is a huge hit with my wife and kids, and it has that perfect texture that pretty much goes well with any type of fish. This batter has that great beer flavor, and it has the perfect crunch that allows for the awesome flakiness of the fish. Heat your oil in a pot on medium-high heat until it registers 350 degrees. Add the dry ingredients to a mixing bowl and stir to combine everything. Once everything is combined, mix in the cold beer, and lightly whisk until you have a smooth batter. Once the oil is heated, submerge your fish fillet into the batter to lightly coat, and raise it out to let any excess batter drip back into the bowl. Carefully place this fish fillet into the oil, and cook until you have a nice golden brown, roughly 4-6 minutes. Remove with your kitchen spider, or large slotted spoon, and place on a paper lined plate to remove any excess oil. Season with a pinch of salt, and repeat. The end result is a crisp batter that is just a perfect pairing with your fish. Feel free to use on cod or halibut as well. There you have it Milwaukee, that’s my batter that I have been using now for a few years, and it’s one that I’m sticking with. 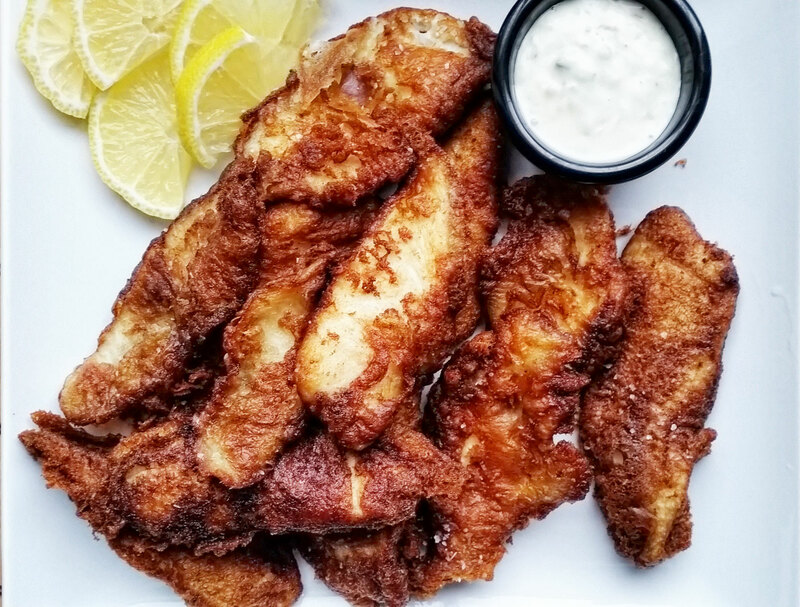 I have searched and searched for the lightest, crispy beer batter fish. This is it!! Actually I made this tonight for hubby and I and our neighbors to rave reviews. Delicious!